The OFT has launched a campaign to help people know their rights when they buy a used car from a dealer, as new figures released today reveal a rise in complaints. In the first six months of 2010, the OFT-managed advice service Consumer Direct received just over 38,000 complaints about second hand cars bought from dealers, an increase of about 18 per cent compared to the same period last year. Complaints about second-hand cars continue to top the list of calls to Consumer Direct, above mobile phones and TVs. Around 3.6 million second hand cars are bought each year, with consumer spending totaling £24 billion. But an OFT study found that many car-owners end up fixing unresolved faults that are the dealer's obligation to correct, costing each of them an estimated average of £425. Michele Shambrook, Operations Manager for the OFT-managed advice service Consumer Direct, said: "Cars are an expensive purchase, so before parting with any money people need to know exactly what they are getting and what they can do if things go wrong. "Dealers have a responsibility to sell cars that are of ‘satisfactory quality'. This will vary depending on issues including the vehicle's age and mileage, but as the vast majority of all second hand car faults come to light in the first three months, they will often be the dealer's responsibility to fix." What mechanical history and mileage checks have they done on the car you want to buy? How many former owners has the car had and is the full service history available? Has the car been modified from its original specification? Is the car ex-hire or similar? Ask for important information and answers to your questions to be put in writing before you buy so you have proof of claims - don't just rely on verbal claims or promises by the seller. Find out about the dealer's customer complaint procedures and whether they are signed up to a code of practice - if a problem does arise after the sale you need to know who to contact. 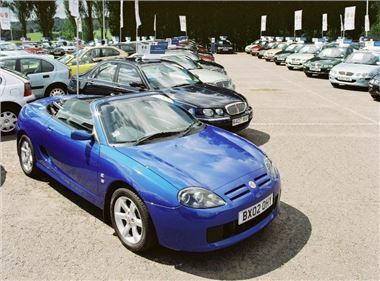 Remember that if you buy a car from a private seller or an auction, you may pay less but you will have fewer legal rights than when buying from a dealer.